Description: Joshua and Ruth Brookings are traveling by stagecoach to finally join their parents in Montana. Attacked by murderous outlaws, the teens barely escape with their lives and must survive in the barren Wyoming and Montana territories and escape the man who's hunting them. Seven years ago, Jed Stuart ran away from home and joined Tom's gang. Jed is tired of the lawlessness and wants out. The only problem? He is the boss's right-hand man and will never be able to leave. And what's one more stagecoach robbery, anyway? 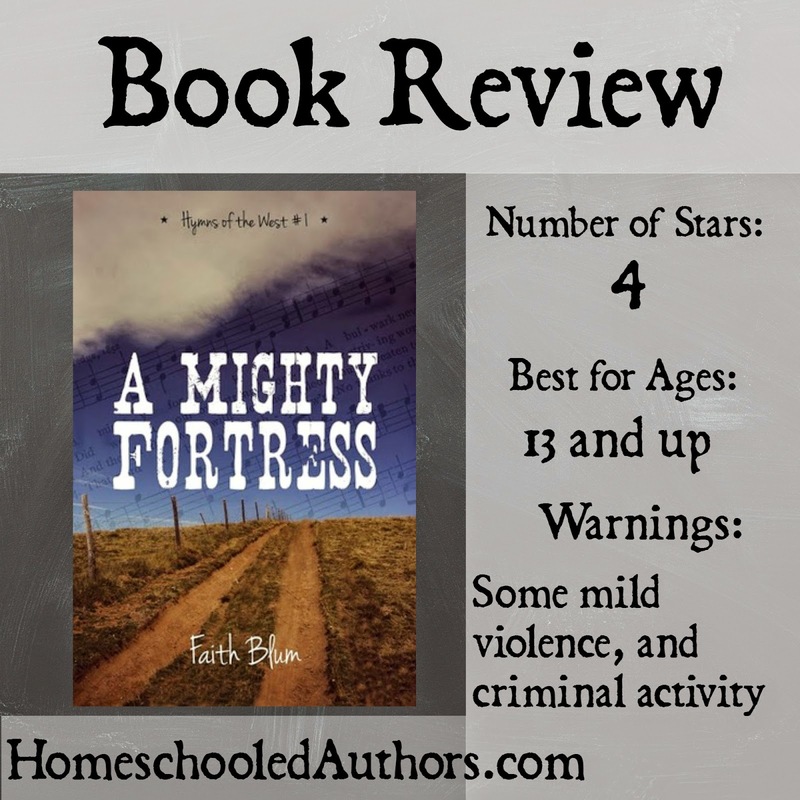 Can Joshua lean on God's strength to keep himself and his sister alive until they find a town? Will Jed be able to face his anger or will it consume him completely? All three are running--the hunter and hunted. What will happen when they meet? I must admit, I didn’t think I was going to like this story or rate it very high after the first few chapters. After all, it was obvious the author has lots of room for improvement. However, in the end, I ended up giving this book four stars. Why? The story touched my heart. It is true that sometimes this story seems to ramble. Occasionally, I felt a bit lost as to what was going on. Sometimes, the author told instead of showed. Yet, despite the imperfections in this story, the last few chapters made up for all its short comings. The western setting felt like old Roy Rogers or Lone Ranger movies. It was fun and familiar, nothing jarring or out of the ordinary. Joshua and Ruth start out feeling a little fake to me, but their characters strengthen as the story goes on. Joshua especially becomes a hero I admire. He protects his sister from harm and does what is right even when it was hard. The faith of the two siblings was very evident. They quote scripture often (toward the beginning it was a little over done, but it got much better) and are not ashamed to talk of their standards or beliefs with others. My heart went out to Jed. Because of his rough childhood, he feels forced to fall into the wrong crowd. You can feel the tension within him sometimes of wanting to do what is right, but feeling trapped by his past. Jed ended up making the book work very well. Although sometimes, I didn’t understand why he was doing what he was doing. There were some characters and scenes I didn’t think added to the book. Annabelle seemed to be thrown in for no reason other than to state the wrong kind of attention low cut dresses could make. Also, sometimes showing time passing didn’t work very well. The ending, as I said, made up for all the short comings. Although not what I was expecting, it was so much more satisfying than anything I could have imagined. I even jot a little teary. I wish I could explain more, but I don’t want to give anything away. I recommend this books to those who like surprise endings, strong faith, and western stories. I'm looking forward to reading Faith Blum's books!